So I was going to just say nothing and have it be a "surprise", but all my friends know now, so it doesn't matter. I signed up for the Beast of Burden 100 miler in February. It's along the Erie Canal Towpath, which is fun, in the winter, which is not so fun. The reason I didn't want to advertise it was so that I could post afterwards and say, "surprise! I did a 100 miler!" But if I'm going to be honest, it's so that if I fail, I could just say nothing and sweep it under the rug. Too late for that now. But failure happens, and that's an important thing to acknowledge. And you can learn valuable lessons from failures, probably even more so than successes. I'd like to pretend I'm following some super intelligent and structured training plan. I'm not. I ran back-to-back 20 milers over Thanksgiving, which felt good. I ran a 28 and 10 miler back-to-back two weekends ago, and that was fine too. I ran 16 miles total this past weekend, which felt awful. I'm running a 100k this weekend with my friends Chris and Jeff, and I'm pretty sure I'm going to die. And of course, this is all while I'm also swimming, biking, and lifting. Because - oh right - I'm signed up for my second Ironman in July. My swimming has actually gotten better this fall, and I'm at least maintaining my bike strength. And after Beast, I'll have 4 full months before I taper for Lake Placid. 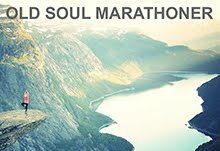 Chris, Jeff, and I are starting our 100k at midnight Saturday morning (Friday night?). The temperature is going to be arctic. There will probably be snow. It will be dark. Thankfully we have some truly amazing friends who will sherpa for us, and pace us at parts, though probably not until the sun rises. I just looked up the word Sherpas. It only comes capitalized, and only in plural form, and only as a noun. So I used it wrong in three different ways. But so does everyone else. They should just go ahead and add it to the dictionaries. Basically our friends will feed us and drive around our junk and haul our corpses into the woods. The worst part about it all, as is often the case, is the anticipation. It's not a race. We won't even be going fast. We'll take breaks often, and eat whenever we need. We'll have dry clothes to change into. And if our bodies explode, we won't be losing a medal. It's essentially a big training run for Beast of Burden. So it's about as low stress as an ultra can be. I'm not an ultra runner. If I was, I'd have a much better idea of what to expect. I don't know anything about the community, other than what I've read online. I know it's low key. People do the events to finish, not to race. And if they get hurt, they just stop, and it's not a big deal. I've only ever been a marathon runner, and now a triathlete. And even though I won't ever be super fast or dedicated, those are still competitive environments, and Sherpas mostly aren't allowed. Even after Beast of Burden, I won't consider myself an ultra runner. I don't have the right mindset. I'm not the kind of person who can just go out in the woods and spend all day there, running, jogging, walking, stopping to smell the flowers. I like to do my training runs as fast as my body allows on that day, and then go home and do nothing the rest of the day. As I've mentioned before, the main reason I do these things is for the people, and for the adventure. I don't care about Beast of Burden. But I do care about having an epic adventure with my friends. And if that means destroying my body, then hooray! And then I can put a "100" magnet on my car, to annoy my coworkers even more. Double win! Not being an ultra runner, and having no clue what to expect, I can't say much else. Maybe I'll love it and want to do it again? Maybe it'll be awful and it'll be my last and only one? 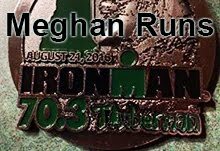 I told myself Ironman Mont Tremblant would be my own Ironman, and clearly that was false. So who knows. I know I want to keep swimming and biking. The ultra isn't adding new training, just.... more (which I'm not really doing). So mostly it'll depend on whether it's something I can handle with my existing fitness level. Either way, you can look forward to an epic story in the near future. Insert a laugh emoji here. And if you don't hear from me.... well then thanks for reading, and leave cookies out for my ghost. This. Except in the dark. With monsters.